A California native, Dr. Blanca E. Zamora graduated at the top of her class from the prestigious University of Guadalajara School of Dentistry in 1984. 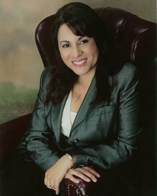 In order to expand her knowledge of general dentistry, Dr. Zamora has attended continuing education programs at the University of Southern California and Loma Linda University throughout her career. To this day, Dr. Zamora continues to widen her expertise by taking advanced courses in dentistry for specialties such as oral surgery, orthodontics, hypnosis for dental patients, and photography cosmetic smile design. Dr. Zamora applies these specialties to her practice in order to provide the best care possible for her patients. In 2007, Dr. Zamora became a diplomat for the International Congress of Oral Implantologists. That following year, Dr. Zamora became a certified provider of Perio Protect, a nonsurgical treatment for periodontal disease. Dr. Zamora is a member of several national and international dentistry organizations including the American Dental Association, International Association for Orthodontics, and the California Dental Association. She is married and has three lovely daughters.